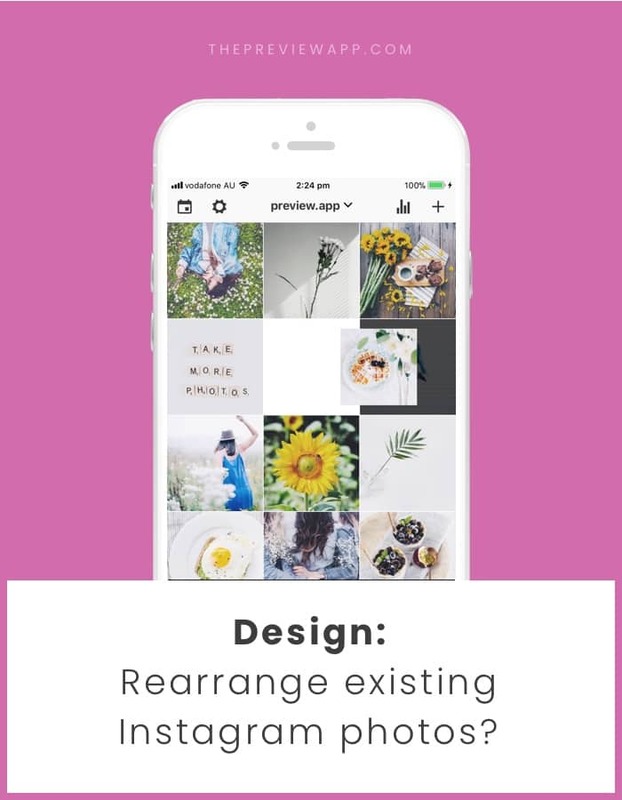 Rearrange Existing Instagram Photos – Can you do it? Unfortunately Instagram doesn’t allow to rearrange photos that have already been posted. If they have been posted on Instagram, they are fixed. You cannot change the order of Instagram photos that are already published. 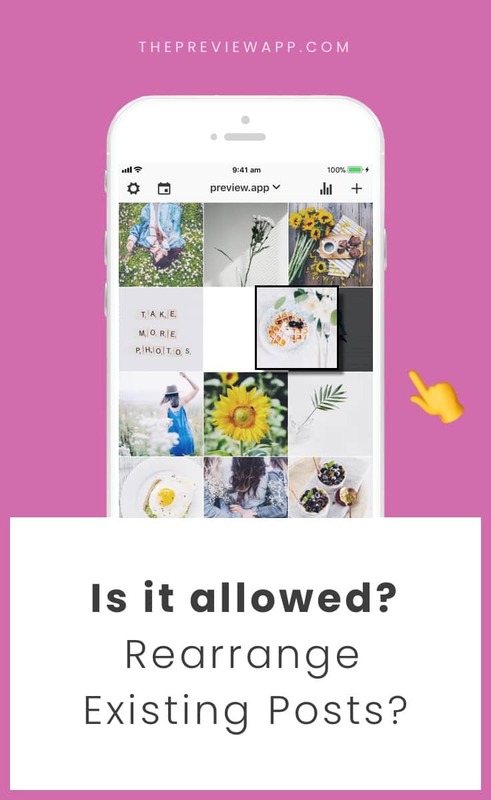 You can use Preview app to plan your future posts. This way you will see exactly how your feed will look like before you post on Instagram. And much more. Take your time to design your new feed. But if you really, really want to do something about your current Instagram posts, read the next tip. You really love your old Instagram photos but you want to rearrange them and edit them with Preview? If you are up for the task, you can save all of your Instagram photos that you want to change onto your phone. This might take some time as you have to do it one by one. Your Instagram posts will now be saved on your phone. Don’t forget to delete the original photos from Instagram so you don’t have duplicates. Don’t want to delete your old Instagram posts forever? In that case, you can use the “Archive” feature on Instagram. The archive feature will just “hide” your old posts from your feed. Your photo will disappear from your feed but it is not deleted. It will be hidden in your archived post folder on Instagram. Have fun planning your feed!